Despite a general slowdown, there were 14,600 residential units that entered the Dubai market last year, the highest number of handovers since 2012, when around 16,000 units were delivered. Property Consultancy JLL attributes the rise in deliveries in part to corporate demand for staff housing, which included 1,500 villas for Emirates staff in Meydan and 690 units in Wasl Oasis II in Muhaisnah. The fourth quarter of last year also saw the completion of more than 1,000 town houses in Emaar’s Reem Community and 1,200 apartment units in phase one of Meraas’ City Walk. “The [deliveries in Meydan and Reem] contributed to the volume of completions. This translates to an active supply pipeline, but still represents less than 60 per cent of the 26,000 units that were originally proposed for delivery last year,” Asma Dakkak, Research Manager, Middle East and North Africa at JLL, tells PW. In Abu Dhabi, around 3,100 residential units were completed last year. According to JLL’s The UAE Real Estate Market: 2016, A Year in Review, the new deliveries bring the total stock in the capital to 248,000 units. Of the new deliveries, 700 were in Marina Bay One and Marina Bay Two towers on Reem Island, which were completed in the fourth quarter. This year, there are 31,000 units scheduled for completion in Dubai, according to JLL. Of these, 550 are in Dubai South, which has also seen a further 10,000 units announced in the pipeline. Property consultants base their projections on expected handovers announced by developers. However, there is usually a considerable gap in what is announced and what finally enters the market. This staggered delivery schedule works as a market correction mechanism, stabilising the market, which may otherwise have to cope with oversupply. Developers tend to time completion based on demand and project sales. In Abu Dhabi, JLL says expected completions will be seen along the Corniche, Al Raha Beach, Reem and Saadiyat Islands, adding approximately 5,000 units. However, similar to Dubai, the rate of materialisation is likely to be below the announced supply, as projects are delayed. “As in previous years, there are far more projects announced than are likely to be delivered, with the materialisation rate likely to remain low at 35-50 per cent, as many announced projects have not commenced and those that have commenced are likely to experience delays,” says Dakkak. When developers are releasing properties depending on project sales, stock in demand is likely to come into the market earlier. Currently, the focus is on first-time buyers who are looking to cash in on the downward trend. While fluctuations in estimated and actual deliveries tend to affect the mortgage buyer in the short term, the phasing out of ready stock may in fact benefit the property market in general. As Dubai caters to the residential demand of residents, the impact is varied across market segments, with developers introducing newer types of housing to comply with the requirements of owner-occupiers. On the other hand, individual buyers may be affected by project delays. Often a delayed project means that end users have a chunk of their savings blocked in the property, while still having to pay rent beyond the expected date of moving in. “Individual buyers are always the most penalised, as a share of their disposable income has been immobilised in a project that does not provide any return until the actual handover,” says Godchaux. As handovers are delayed, the relative cost of immobilised funds is increasing and mechanically decreases the investor’s internal rate of return (IRR). 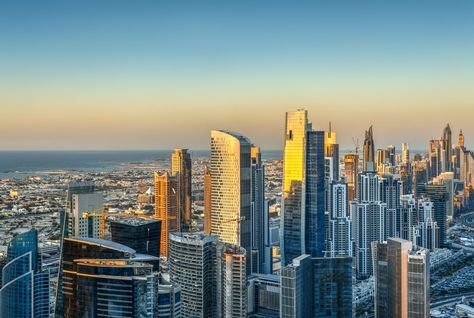 With less flexibility on rental period adjustments in Dubai’s relatively rigid rental market, some buyers may have to pay another full year of rent, when the handover of the unit is delayed by even a few months. “This can sometimes have potentially disastrous cash-flow impact on buyers who do not have sufficient buffer factored in for this,” says Godchaux. In the UAE, payments are mandated to be linked to actual construction. If implemented stringently depending on buyer complaints, there is provision for compensation for late deliveries. Expect more projects to be announced as the World Expo 2020 draws near, which will impact both launches and deliveries. Areas such as Dubai South are scheduled to be a key focus of activity. Asma Dakkak, Research Manager, Middle East and North Africa at JLL, says, “Dubai South is gaining prominence in the lead-up to the Expo. More residential projects are expected to be announced this year as preparation gains momentum.